Happy hump day/hottest day of the year chaps! For anyone stuck inside sheltering from the sun and trying not to melt, I have a special video to share with you; the 1940's Makeup Tutorial. People that know me well know how obsessed I am with the 1940's WWII era- the fashion, hair and beauty was all just so gorgeous and I love how women stayed glamorous in such tough times, using whatever they could get their mitts on to beautify whilst casually saving the country on the side. 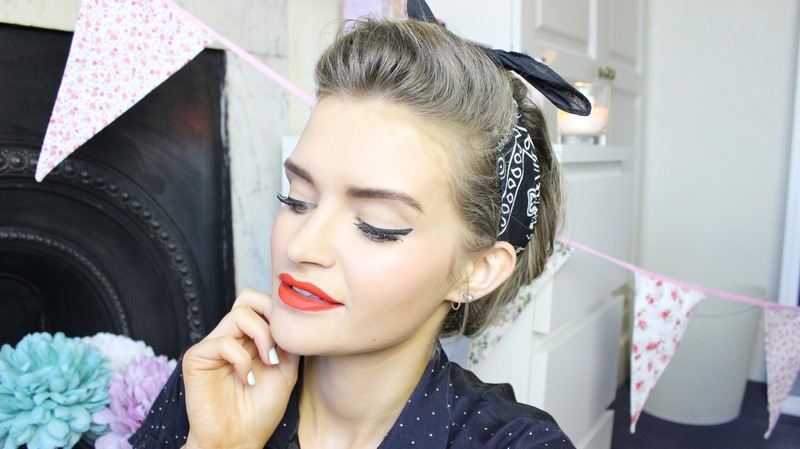 This look is inspired by those thrifty everyday pin-up girls, in celebration of the Imperial War Museum's 'Fashion on the Ration' exhibition which you can get tickets to here and promises to be a treat for any vintage beauty lover. For this vintage makeup look I focused on creating a flawless base with sculpted brows, winged liner and red siren lips. It's a classic cosmetic composition which works just as well today paired with an LBD, as did back then worn with a silk shirt and victory rolls. Go on, get your pin-up on! Are you a fan of the 1940's look? 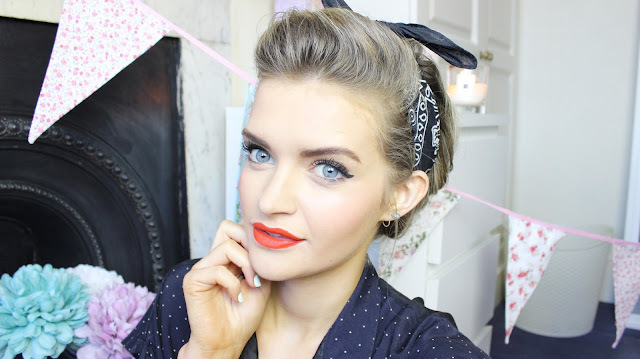 I loved this video Meg, Ive always been a fan of the 1940s war time style!